Aqueon features a variety of accessories to help keep your fish and their aquatic environment clean and healthy. 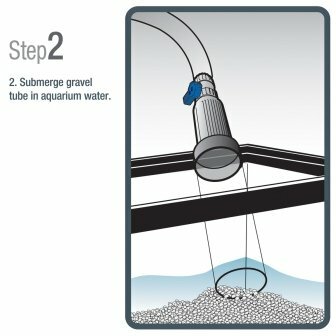 The Aqueon Aquarium Water Changer was developed to make routine water changes and vacuuming gravel easy and efficient for any level aquarist. Complete water flow control prevents spillage, facilitates more complete, thorough cleaning and eliminates the need for lifting heavy buckets of water. The goal of all aquarists, no matter what their experience level, is to keep their fish and aquatic life happy and healthy. In order to achieve this goal, routine water changes and vacuuming of substrate is required. 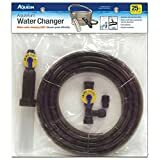 The Aqueon aquarium water changer was designed to help eliminate the potential for messy spills and transporting heavy buckets of water. 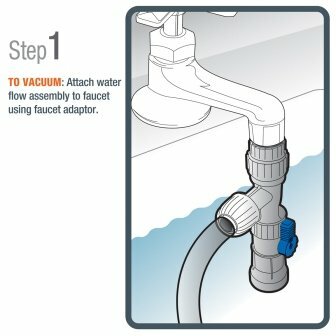 Simply attach the water flow assembly to the faucet using the included multi-connections faucet adaptor and turn on the faucet. 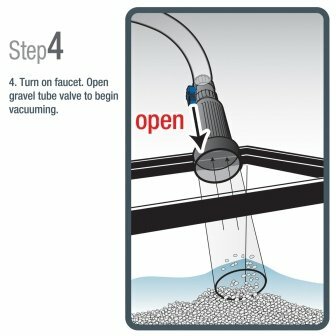 While vacuuming gravel, the key to thorough cleaning is water flow. 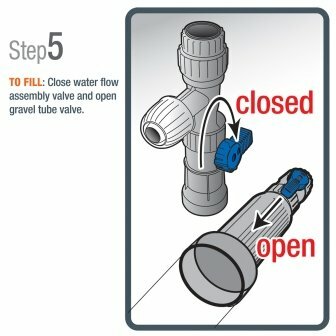 Just the right amount of water flow will meticulously agitate the gravel to remove loose dirt while reducing the amount of water that dispenses into the sink. 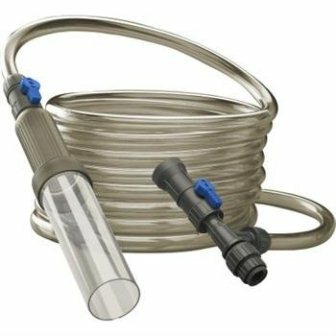 The easy-grip molded handle on the gravel tube includes a built-in on/off valve for total water flow control at your fingertips. 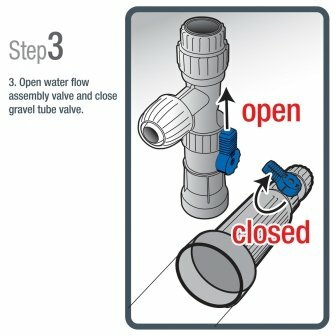 The same valve on the sink attachment can be adjusted to reduce splashing of dirty water in the sink.